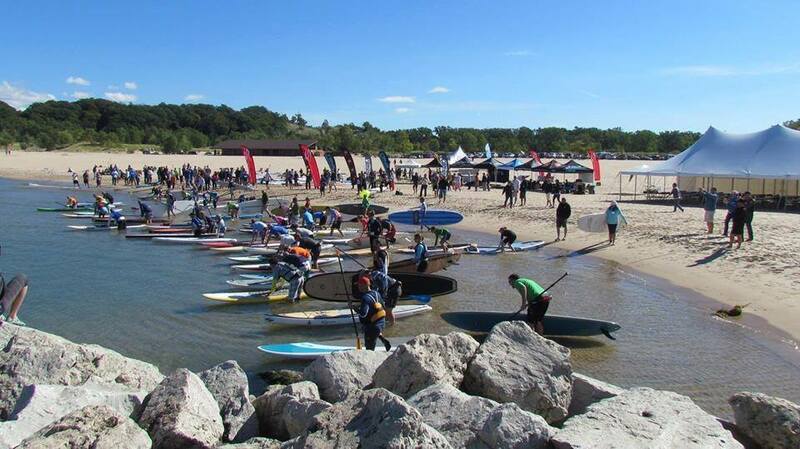 Larry Cain took out today’s Great Lakes SUP Classic in Holland, Michigan, defeating Jimmy Terrell and a whole stack of local paddlers to prove once again that he’s an ageless robot sent to earth to humiliate paddlers half his age. Cain, an Olympic Gold Medalist from the 80’s and now proud Quinquagenarian, defeated fellow Olympian Terrell by two minutes over the six mile course. The two former C1 sprint canoe champs outclassed a local field in what was described as a great, feelgood Stand Up Paddle event.